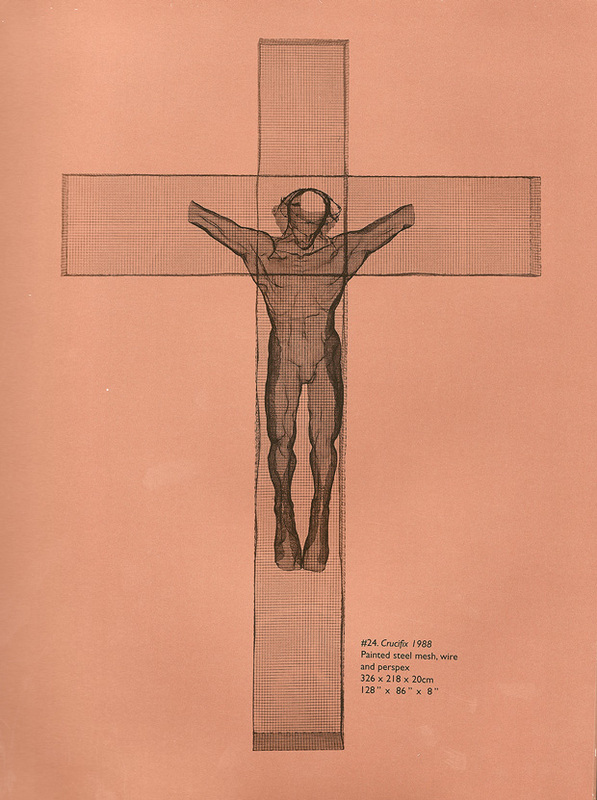 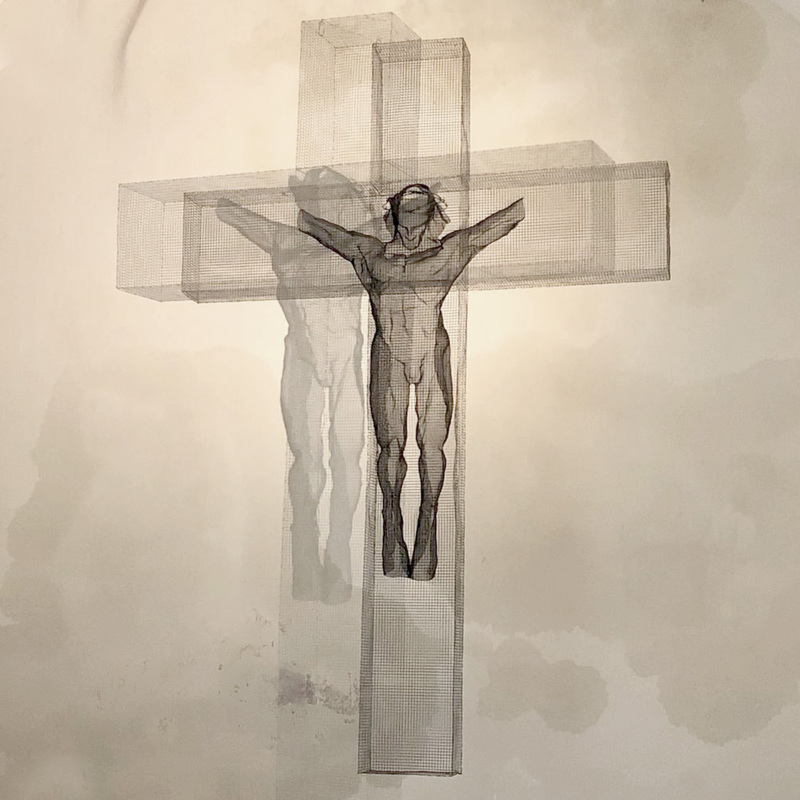 Originally made for and exhibited in Winchester Cathedral for Lent in 1988, the Christ sculpture ’CRUCIFIX’ was permanently installed in 2004 at the Barn Chapel of the Anglican (C of E) Shrine of Our Lady of Walsingham, Norfolk, NR22 6EG, England. 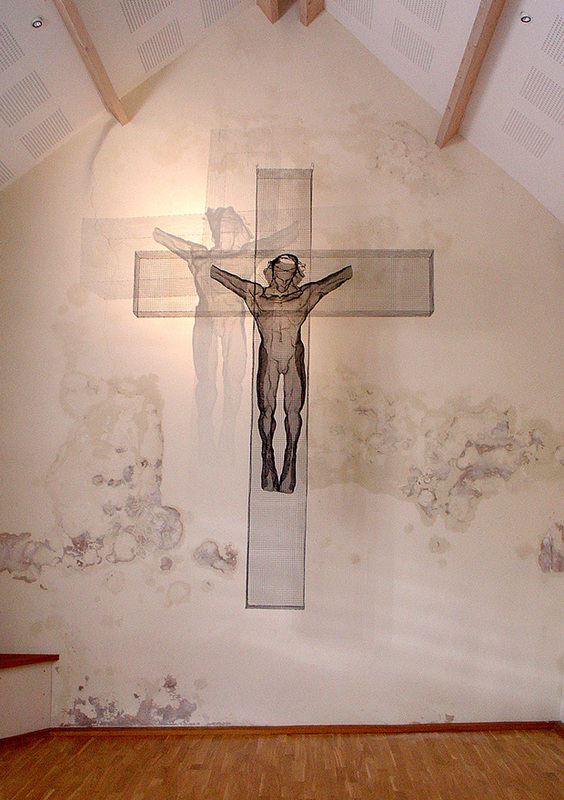 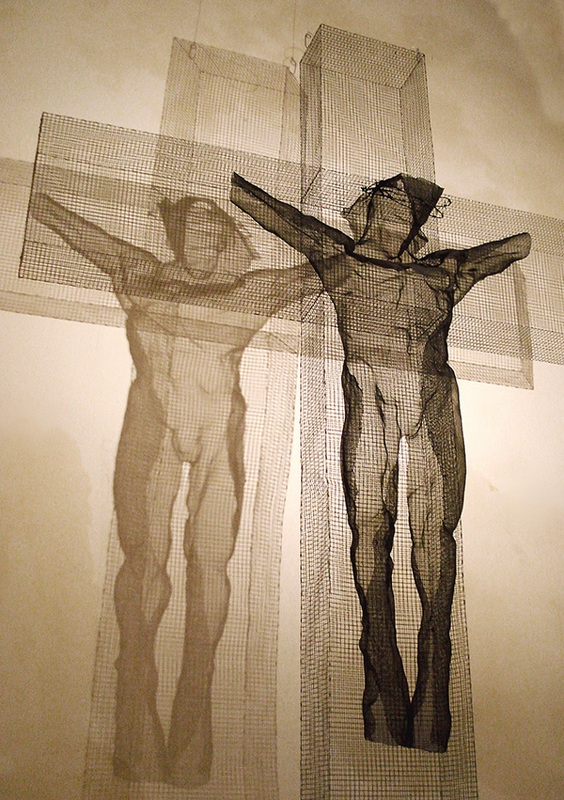 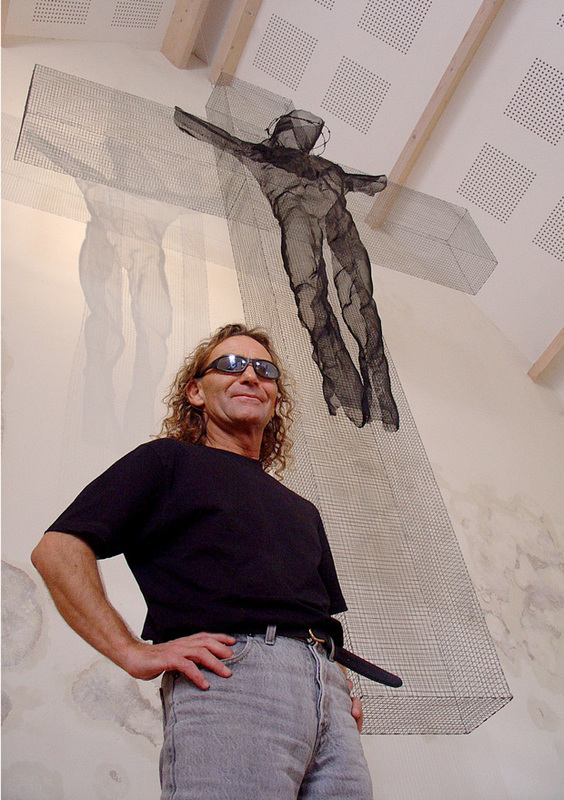 ’Crucifix’ is a powerful interpretation of the suffering and crucified Christ. 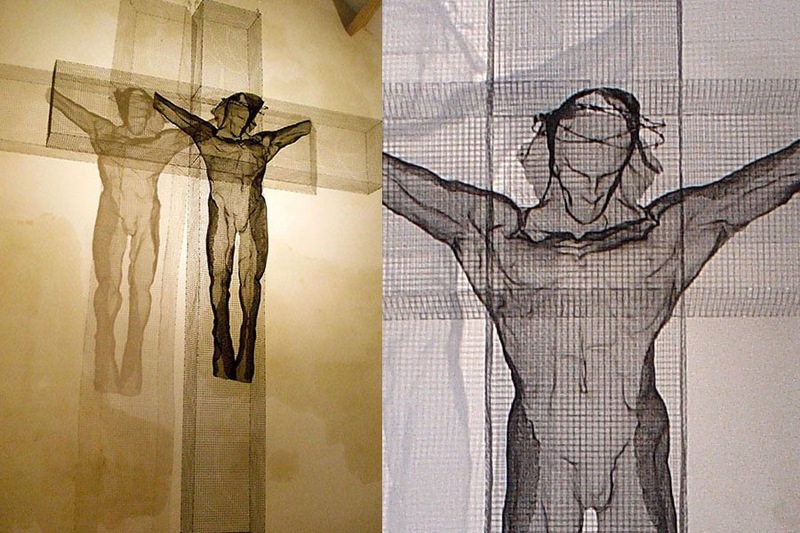 Its visual liberation of object and image creates the installation, which is both physical and optical. 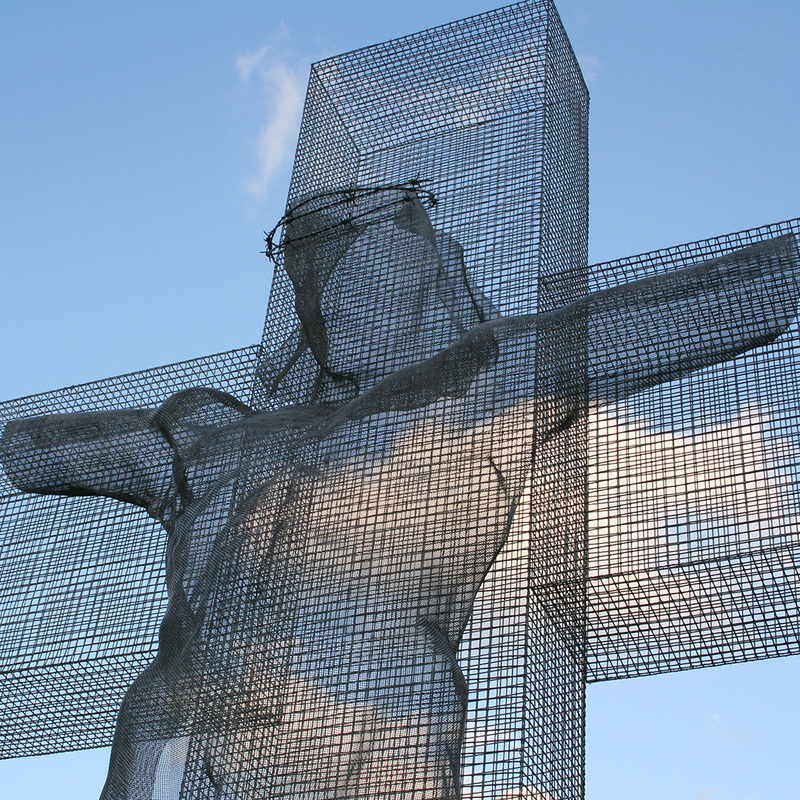 The figure of Christ has no hands, an expression of helplessness... a man at the mercy of his destiny. 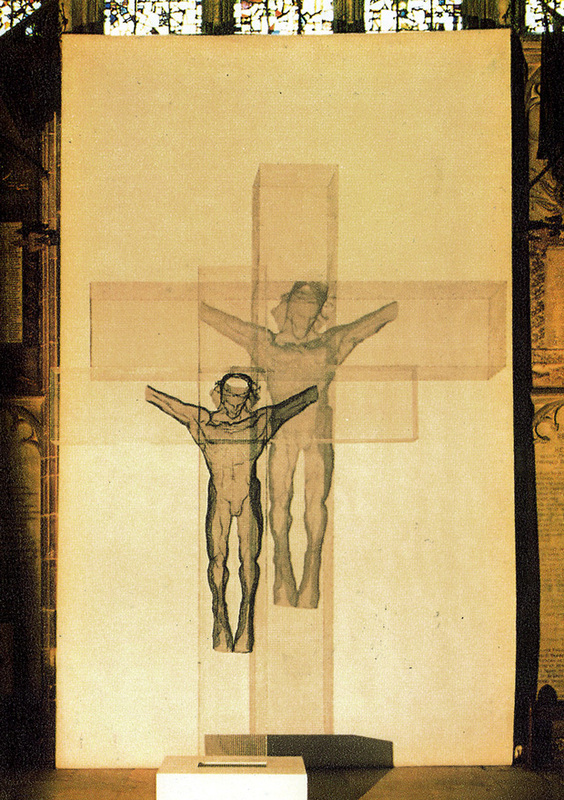 This is further compounded by the body being that of a strong powerful man, naked and in the throes of agony and humiliation. 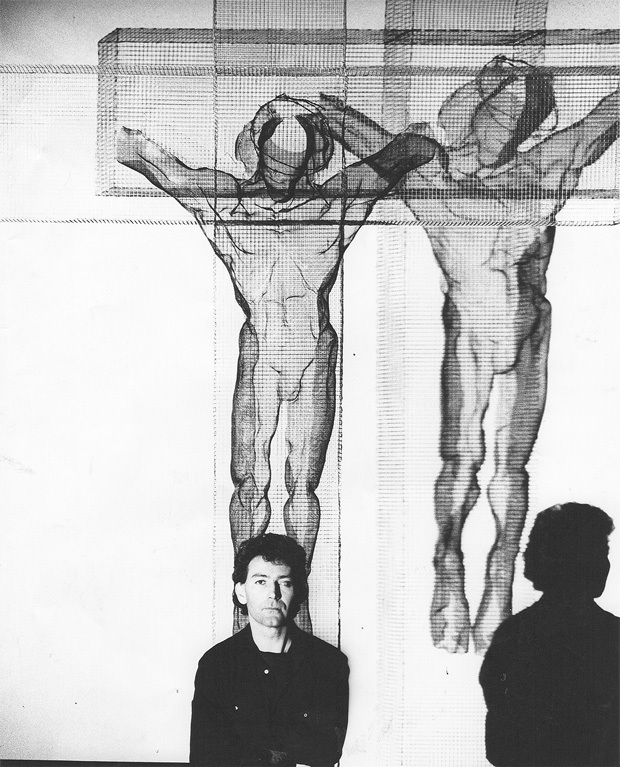 The image of the man bleeds through and out of essentially cold industrial materials – usually associated with isolation and rejection; fences and cages, barred windows and locked doors, keeping people out. 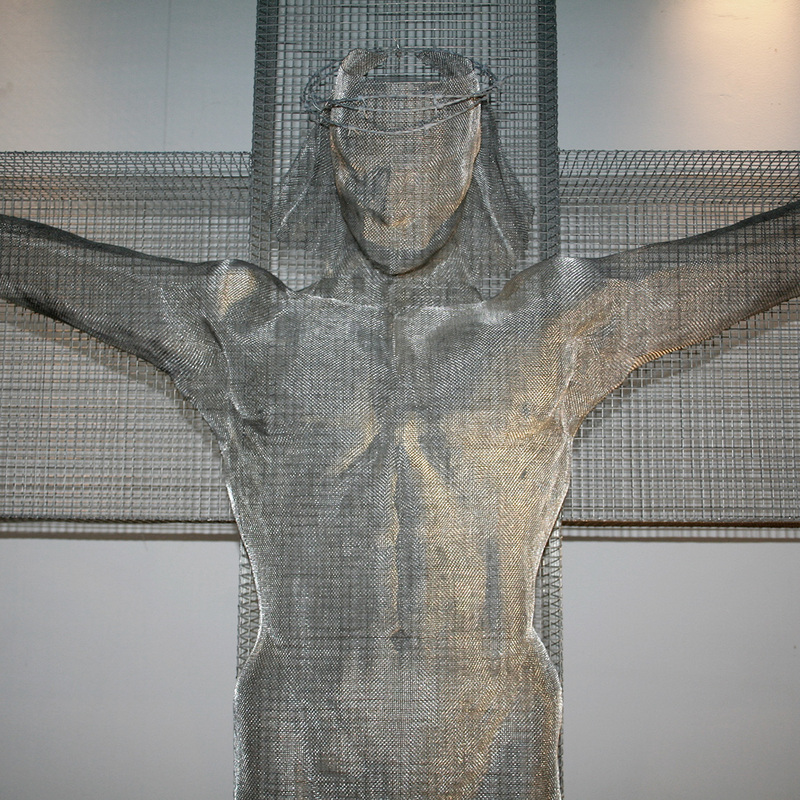 The head of Christ remains unformed; it is defaced and finally humiliated with its barbed crown made from one of the most offensive materials ever: barbed wire. 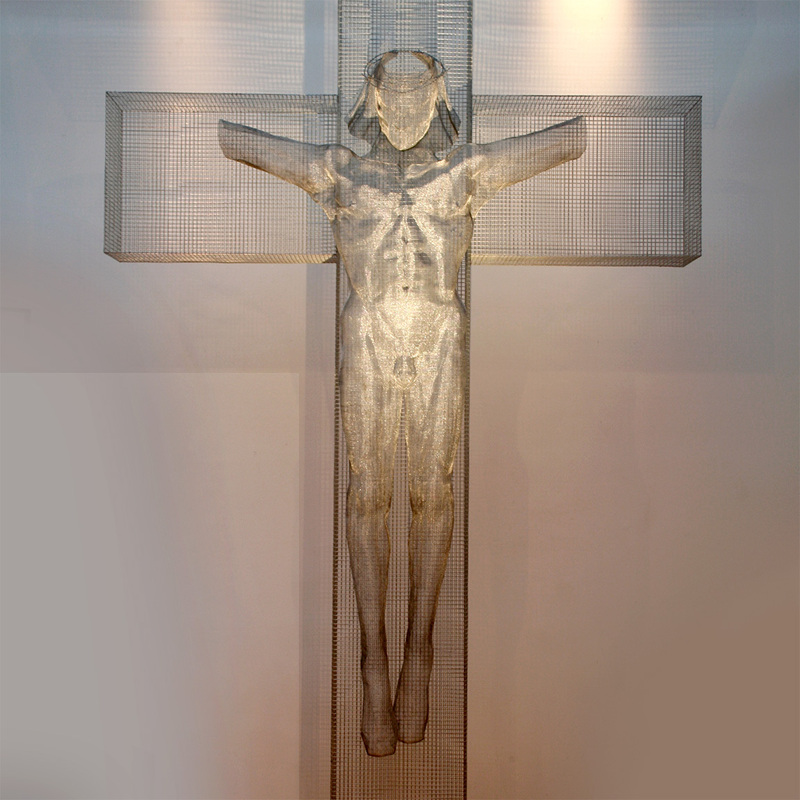 It is a Christ for our time. 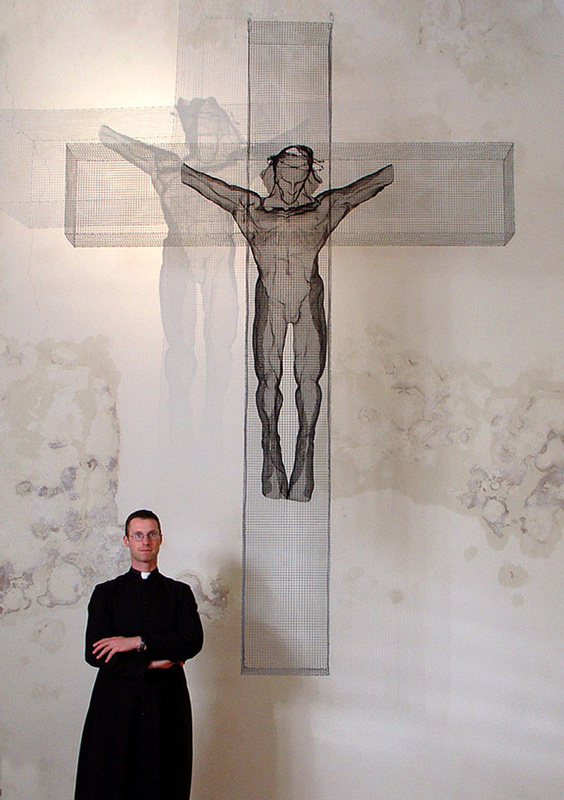 Father Philip North has told us that people who see the sculpture for the first time are often profoundly moved.